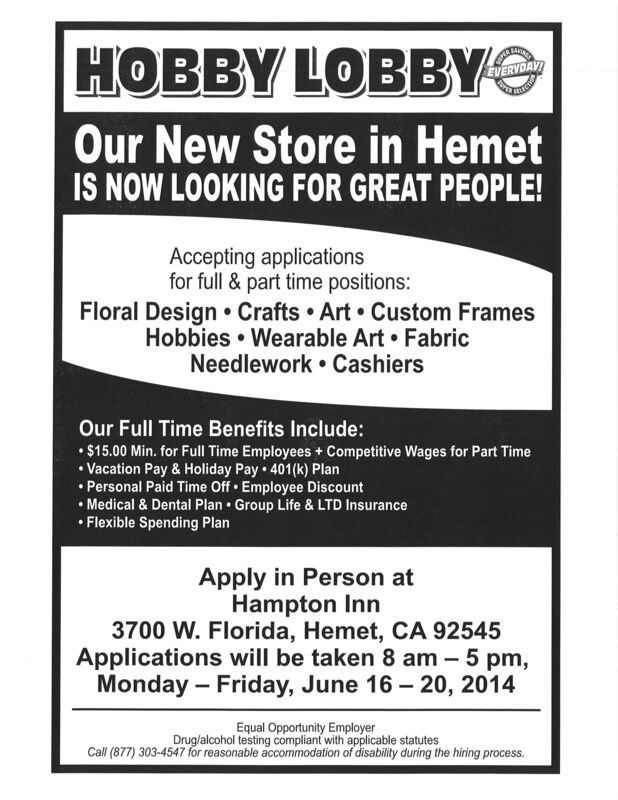 The Hemet, CA Hobby Lobby store is tentatively scheduled to open on July 14, the 23rd location in California. 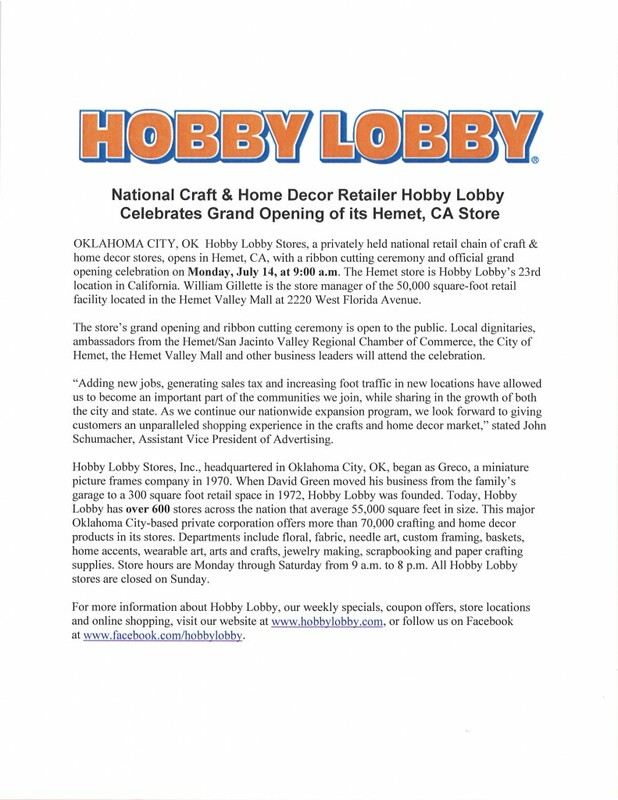 This major Oklahoma City-based private corporation offers more than 70,000 crafting and home decor products in its stores. Departments include floral, fabric, needle art, custom framing, baskets, home accents, wearable art, arts and crafts, jewelry making, scrapbooking and paper crafting supplies. Store hours are Monday through Saturday from 9 a.m. to 8 p.m. All Hobby Lobby stores are closed on Sunday.